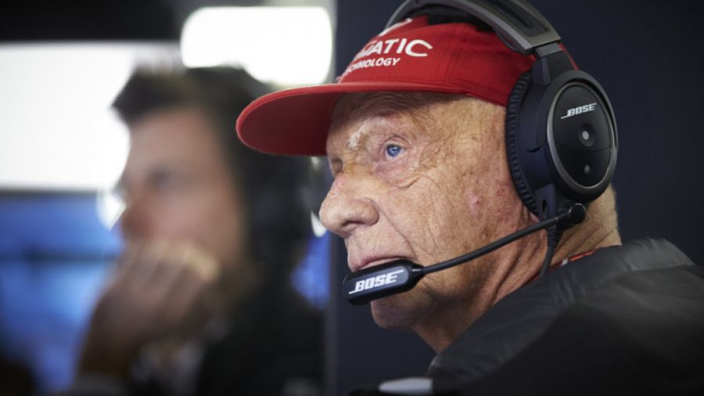 Formula 1 legend Niki Lauda has taken a step back in his recovery from the lung transplant operation he underwnet last year, and has been re-admitted to intensive care in hospital after contracting the flu over the festive period. The Austrian has had multiple lung transplants over the years, with the latest coming in the middle of the 2018 Formula 1 season which meant he was unable to fulfill his duties as Mercedes executive chairman in the championship run-in. The transplant, at the time, was deemed a complete success as Lauda began his rehabilitation, and although he requires a walking aid due to a lack of strength, he recently spoke of a plan to throw it away when he regained the muscle tone allowing him to walk freely. However, the Krone reports that a setback was suffered as Lauda caught the flu over Christmas, and as his immune system was not fully operational following the surgery for his new lung, he eventually contracted a virus which meant he had to return to intensive care. Lauda was actually celebrating Christmas with his family in Ibiza when the new issues arose, and he was quickly returned to the Vienna AKH hospital where he remains in care.